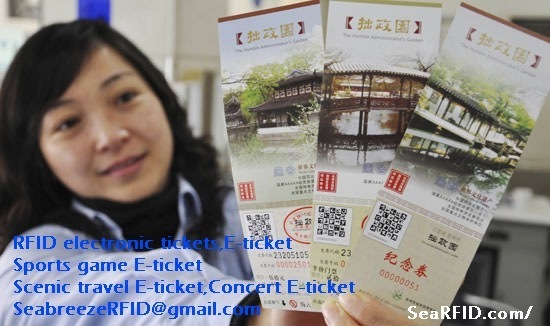 RFID Electronic ticket ( RFID Event Ticket ) is a smart chip embedded paper ticket medium, such as paper tickets, for quick check-in/recount and can realize to the holder and query the real-time accurate locating and tracking management of the new tickets. 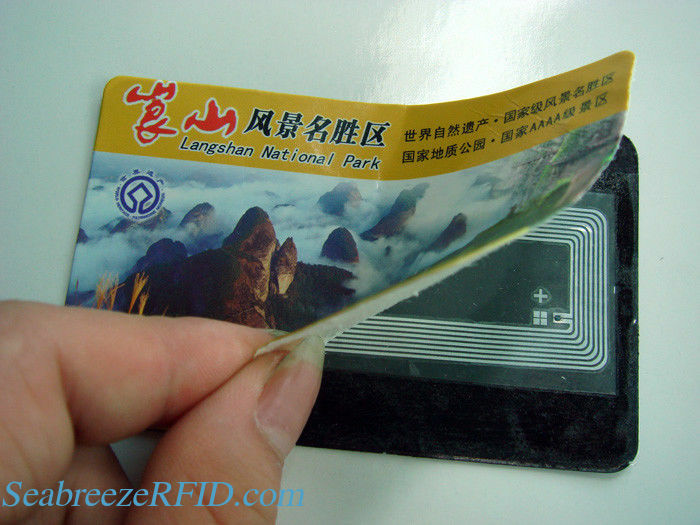 Its core is to use RFID radio frequency identification technology, which have certain storage capacity chip, chip and special antenna together constitute the often said electronic label. 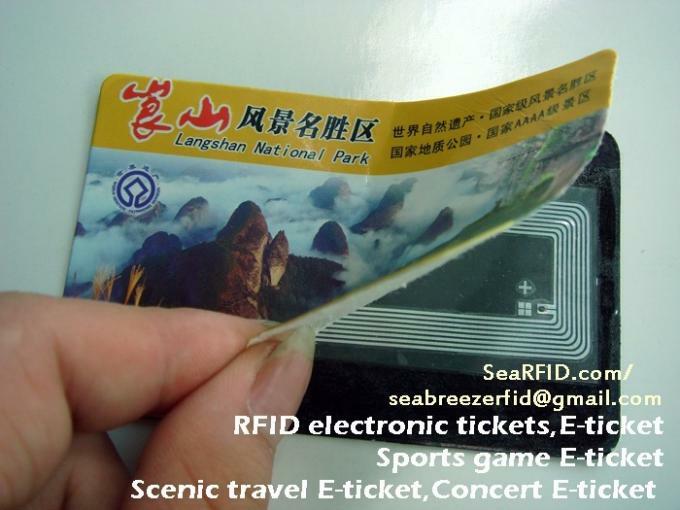 Electronic tag encapsulation in paper card, constitutes the scenic spot advanced electronic tickets. Can customize the UHF tags, up to 8 meters reading distance. Anti-counterfeiting, reliable and accurate statistics. To encrypt the tickets, tickets for automatic identification of the entrance guard system, put an end to the fake ticket and human factors. 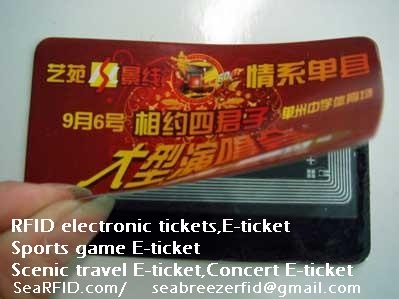 Real-time inspection authenticity and effectiveness of electronic tickets. Theaters, and other large-scale exhibition . Others: Chip data initialization/Encryption, Signature panel, Barcode, Serial number, Die-cut.